So you still cannot decide whether to start your business in Germany or not? Turkish, Chinese, Japanese, Indian and American companies are already here – and succeeding. In this interview with Nadine Litchfield from Germany Trade & Invest you will learn how to get free support when starting up in Germany and how to best attract the German customers. 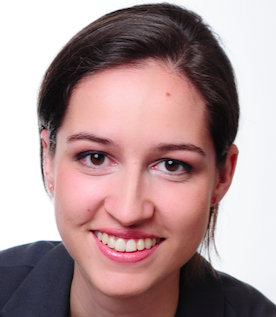 Paulina, E-commerce Berlin: I’ll start in a provocative way: compared to other European countries, why is it worth running a business in Germany, especially in e-commerce? Nadine Litchfield, Senior Manager, Germany Trade & Invest: With 68 million people (84% of the German population) online on a regular basis, Germany boasts not only the most internet users in Europe, but also the greatest e-commerce customer potential. 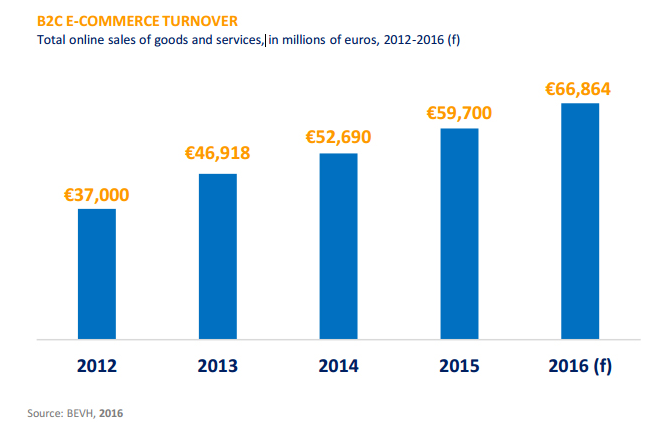 Germany is also responsible for around one quarter of all European B2C e-commerce revenue. The A.T. Kearney Global Retail E-Commerce Index 2015 identified Germany as Europe’s second largest online market behind the UK – but with almost triple the UK’s current growth potential. Germany has the highest total purchasing power and is the biggest market in Europe with 82.2 million potential customers. There are strategic considerations too. Germany is located in the center of mainland Europe, which offers a number of practical advantages for companies to expand into and deliver to the rest of Europe. In today’s e-commerce world, where shipment time is crucial for customers, setting up a warehouse or a logistical facility in Germany is beneficial. Germany Trade & Invest is the foreign trade and inward investment agency of the Federal Republic of Germany. What do you do? How do you attract business to Germany? In our experience, most retailers (online as well as offline) are experts in their market but need support in the individual local customs, for example tax and legal frameworks or visa regulations for employees, or even ways to get into the local market. We function as the ‘man on the ground’ to foreign investors, the local contact who knows the market and market conditions, speaks the local language and has the local connections, for example to trade associations, that make the difference and facilitate market entry for a potential investor. Our services range from first market information for an interested investor to the final location selection for the project. We see ourselves as a “one-stop agency” that supports the investor closely in every stage of the decision-making process. We help attract business to Germany by informing potential investors about the advantages of an investment here at trade shows and conferences all over the world. What are your responsibilities as the Senior Manager Consumer Markets & E-Commerce at Germany Trade & Invest? What does your everyday job entail? What do you like in it? I work with companies from all over the world which are active in consumer products both online and offline and which would like to learn more about the German market in order to decide where in Germany to set up their business. The work entails keeping up to date with current trends and developments in Germany in order to be able to inform clients accordingly, as well as listening to their needs and matching them with the right information. I visit conferences and trade shows to connect with foreign companies who intend to set up a subsidiary in Germany. Sometimes, the investing company knows exactly where it would like to set up their business but sometimes that’s a longer process. What I like about my job is that I get to meet so many diverse companies and people from different countries and cultures. I get to learn about their story, product and business model, their motivation and their objective of setting up a business in Germany. Every day and every project is different: I work with small companies, with young designers and start-ups but also with big international players, some of them family-owned. It makes me very proud when I see their first facility open, or their first advertisement on TV, or their website translated into German. Knowing that I have been a tiny part of this development and seeing the companies succeed in the German market is a good feeling. What are the statistics for new businesses in Germany? What countries most often seek growth opportunities on the German (e-commerce) market? What’s the share of big players – and SMEs? According to data from the federal states, Germany recorded 1,912 greenfield investment, expansion or relocation projects in 2015 (that’s a 60% increase on 2014). Additionally, there were 413 mergers & acquisitions. The most important region for greenfield and expansion investment in Germany is the EU-28 zone, while China and the USA remain the most important individual investor countries. Foreign investors tend to prefer investing in corporate and financial services, with the ICT and communications sector a close second. Third place is consumer goods (incl. Food & Bev.). ​E-commerce is not a separate sector as it plays a role across other sectors, for example both ICT and consumer goods. Therefore there is no reliable data available on how many e-commerce companies have settled in Germany. I have recently worked mostly with companies coming from Europe, Turkey, China and Japan. Indian and American companies have also sought my support in recent years. During the E-commerce Berlin Expo on 2nd February 2017 you will give a talk titled “The German E-Commerce Market: How the Consumer challenges the entire industry”. Can you reveal some more details? Why the focus on the consumers? 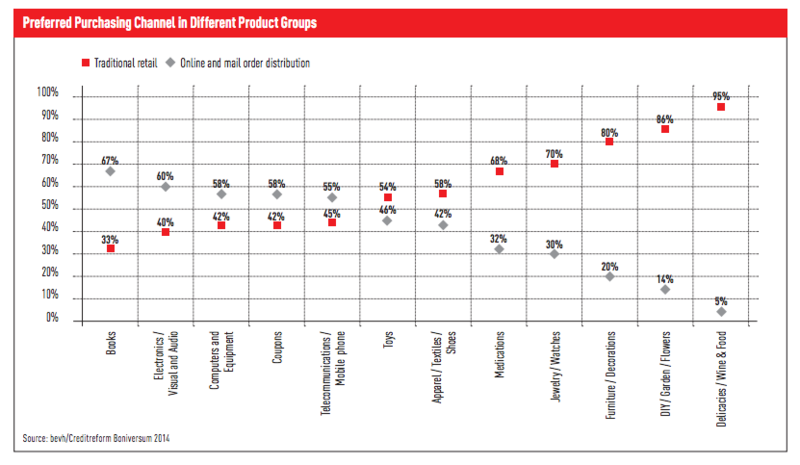 And how do German shoppers differ from other European consumers? After presenting background data on the overall German e-commerce market, the main focus will be on typical German consumers: who they are, what they are, their different habits. Every retail company which has conducted business here before will agree that the German consumer is different than consumers from other countries. Without giving away too much (as I’d like you all to come to the presentation! ), the German consumer is more demanding than average when it comes to aspects such as website loading times, payment methods, delivery/return options and costs involved. German consumers are perceived to be ‘return champions’ by companies from abroad. I will discuss this in some depth in my talk as it is important to know the consumer specifics before doing business here. What resources would you recommend to a non-German speaking person who would like to learn more about the German e-commerce market environment? Where can he or she check trends and look for niches? Trade shows and conferences, such as E-Commerce Berlin Expo, are great ways to gather information and talk to market players in order to receive inside information. Beyond that, I would recommend getting in contact with domestic e-commerce associations, as they generate crucial market data as well as organize regular events for their members to interact and exchange ideas. There are several excellent newsletters with up-to-date information (although mostly in the German language only). When it comes to entering the German market by setting up a subsidiary here, such as a sales office, call center or warehouse, we at Germany Trade & Invest are the right agency to contact. As we are funded by the German government, our support is objective, confidential and free of charge. Based on your expertise, which segments of the German e-commerce market are easy to conquer? By this I mean: are there any specific products or services from abroad that are more likely to sell well to the German shoppers? This is a very difficult question. As you know, the German market is the biggest consumer market in Europe with the highest total purchasing power. This means that it is a very attractive market for companies from all over the world. Together with all the innovative companies that we already have here in Germany, it is also a very competitive market. As a result, I would not say that any market segment is easy to conquer. Success for any company in Germany – local or foreign – depends upon a shrewd strategic approach which finds a niche in the busy German market, either in terms of product or service or both. We have also noticed recently that companies which retain their own identity tend to be more successful, for example a Swedish company which retains its Swedish identity and culture and only adapts as much as absolutely necessary in order to serve the German market, will have more success than a Swedish company which sacrifices its identity and culture in order to operate in Germany. The idea/product/service needs to be authentic and if it is, the company will find its niche more easily. What are your e-commerce market forecasts for 2017? I believe that this year will be dominated by analysis of the customer journey with the help of big data, culminating in increased offering of personalized product choices with flexible delivery options and dynamic and individual pricing to consumers. Safety will also play a major role this year, especially in further developments of mobile payment options. 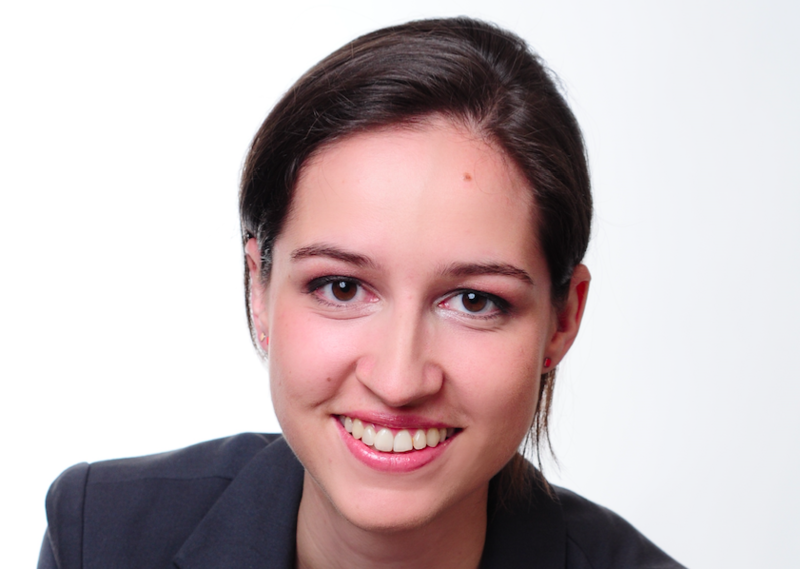 Nadine Litchfield is consumer markets & e-commerce expert at Germany Trade & Invest, the German government’s agency supporting foreign companies expanding into Germany. In her position, Nadine has helped numerous international companies entering the market by setting up a physical presence in Germany.